What makes OLM to PST Converter Ultimate stand out from other Outlook Mac to PST converter solutions? Our Apps are optimized for performance. You run any competitive tool along side and the difference is easily visible. Other OLM to PST Converter Tools only run on Windows and need extra time to export and OLM archive to Process. So the time is cut to half as we process direct on Mac. 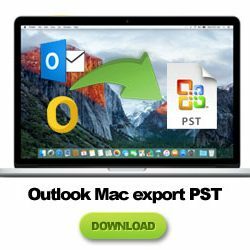 OLM to PST Converter Ultimate let’s you export PST files direct from Outlook Mac Database or Outlook Profiles. This feature is very useful to cut down conversion time, plus ensures data integrity at its best. No one will tell you about the problem of data loss due to data corruptions experienced while exporting OLM to PST archives. Users also get stuck when Outlook Mac crashes & unable to export OLM archive. We offer a way out, by processing conversion direct from Outlook Mac database. 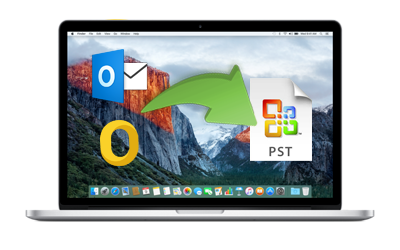 Convert OLM to PST Files / Export PST from Outlook Mac 2011 / 2015 in simple easy clicks ! Most User friendly App if you are moving to Outlook Windows ! 'Olm to Pst Converter Ultimate' converts emails, contacts, calendar, and all other items from Mac Outlook to Pst files for Windows. Forget the conventional ways to export .OLM to .PST. This tool can directly load data from the Outlook database in your Mac. It auto-detects the identity database folders storing your emails and all other items. Wondering how to convert OLM to PST traditionally, if you have to? Don’t worry. It can also be the traditional .OLM to .PST converter for the users who wish to use it as such. But we highly recommend auto-load feature over that. The UI surprisingly intuitive; and the algorithms impeccably precise. ●	Supports full conversion of all elements for both Mac Outlook to PST (direct conversion) and for converting .OLM to .PST (traditionally), including non-English characters, images, folder hierarchy, meta-data, attachments, etc. ●	Works lightning fast. Quickest .OLM to PST conversion. FEATURES – Why Choose “OLM to PST Converter Ultimate” for Mac Over Others? 'OLM to PST Converter Ultimate' is a complete email migration tool for those who are looking to convert OLM to PST files; yet does so without necessarily needing Olm files at all. You can choose custom option if you have Olm files from other users or the identity folder stored somewhere other than the default location. Convert Multiple OLM files at one go / Batch Conversion – You can load multiple OLM files to convert to PST in one attempt. 'OLM to PST Converter Ultimate' is powerful and efficient enough to pull heavy conversions in a smooth and stable manner. It is targeted towards both large and small projects, tailored for experts and less-experienced users too. Maintains Precise Folder Hierarchy after Conversion – Expect no change in your folder hierarchy in converted Pst files. No terrible mis-match or modification in contents that usually troubles users while migrating OLM to PST..
Support for all international languages – Emails are ubiquitous, and do not pertain to any one country or language. Olm to Pst Converter Ultimate for Mac .provides full support for all international languages, including double-byte characters (Chinese, Korean, etc.). Impeccable Precision – Picks up every bits and pieces from your database selection and converts them to Pst with no alteration or loss. It delivers most precise job of transferring OLM to PST with no data fragmentation. Embedded Images, headers (to, from, cc, bcc, subject), meta-data, attachments, read/unread status of emails, nested messages, text format etc. – all will be reassuringly consistent across the entire output Pst files. Supports Calendar and Contacts conversion – “Olm to Pst Converter Ultimate” also converts every contacts and calendar data efficiently. You can even merge contacts from several address books into one 'default' folder for Windows Outlook. Freedom to choose folders – Mark the folders you want to convert. Leave others unmarked. Usually ordinary and free OLM to PST converters do not give that option..
Blazing-Fast – The data conversion is incredibly quick. Direct conversion are much more quicker, but the tool has also enhanced the speed for converting OLM to PST file. Interface targeted for Seamless Migration – The user-interface consists a graphical wizard, guiding users systematically, leading to smooth migration. The innovative approach of Gladwev combines the power of the new technology with familiar and intuitive interface design. Making it as polished as can be. No ordinary OLM to PST Conversion tool comes even close. Why the auto-detect feature is the defining feature of OLM to PST Converter Ultimate? What happens when you archive your data from Mac Outlook to Olm files, and then convert them to Pst? On the other hand, what happens when the tool auto-loads the default directory where data is stored in Mac Outlook? What is the difference between typical OLM to PST convert and Gladwev’s approach? When you auto-load the identity folder instead of Olm files, you eliminate one step of data processing. Thus, minimizing the odds for data loss by the incomplete export process. Though, Outlook archives data into Olm file fairly well, but most of the times there is also a possibility of certain items missing, which doesn't reflect well in the final converted Pst files. That’s why converting OLM to PST never results in 100% accuracy even when performed with extreme care. Often times the file can get corrupted during or after export. In such cases, any ordinary Olm to Pst converters free, or even commercial comes would halt the process when it interacts with the damaged part. “OLM to PST Converter Ultimate” ” finally drops out the unnecessary hassle of exporting Olm files. It makes it easier and more quicker to move to Windows Outlook. And in the process of making that happen, it also results in more accurate and precise data integrity. It’s time to stop asking ‘how to export OLM to PSTand instead get on with the modern approach of Gladwev for better results..
Gladwev strictly adheres to 'Try before you buy' philosophy. It bequeathes the ultimate trust to our products and services. The free license of Olm to Pst Converter Ultimate would let you try out all of its features with no minimal restriction. You can test the features personally, on your own computer, and experience the brilliance firsthand. It’s the best way to export OLM to PST free to evaluate the performance of the tool. 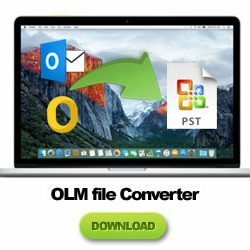 OLM to PST Converter Ultimate free and paid licenses gives users the freedom to convert their Mac Outlook data to Pst files in the most prolific, safe, and professional manner. Last week, I was faced with a job of converting OLM to PST files. After looking for hours for Mac compatible tools, I didn’t find any. Thankfully, I soon came across ‘OLM to PST Converter Ultimate‘ and it helped me quickly migrate my data on my Mac. I am thoroughly impressed with the interface, features, and the whole package. Highly recommend it! I had to switch from Mac to Windows Outlook but was anxious about migrating emails, contacts, calendar and the safety of my data. 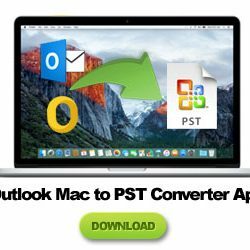 I am Grateful to “OLM to PST Converter Ultimate,” converting Mac Outlook database to PST turned out to be quite simple, even for a total beginner like me with no skills in IT. Excellent App by the developers! To be honest, I was not certain about this. But I went through downloading it anyway because of lack of decent solutions anywhere else either. Happy to say, it turned out to be a great decision. It is a convenient tool that can transfer OLM to PST files accurately. Not to mention, it is the only professional tool with Mac compatibility. Thanks!